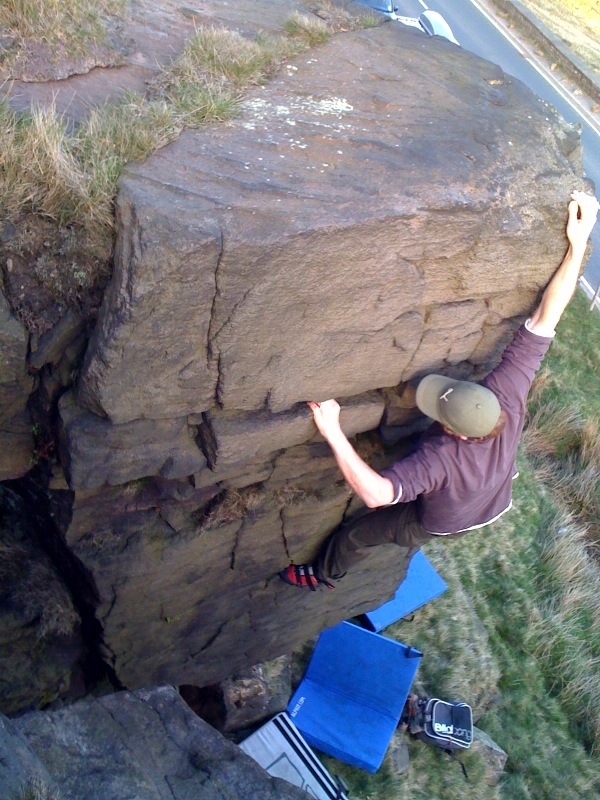 Another trip to Buckstones, going above the road trying a whole load of problems. The highlight was Dr Crowe sliding off a sharply overhanging arete continuing down the slope backwards head first … Sharpey provided this photo of him hanging on. The second attempt at the arete was “cheroot assisted” – the additional weight tipping the thoracic friction move in his favour but masking the critical move in a Thomas the Tank Engine style cloud of tobacco smoke. Perfect technique.